For hundreds of years palm readers have examined hands in order to predict a person’s fortune. As it turns out, they may not have been entirely wrong as the human hand contains a wealth of information. When it comes to palm lines, not all people are the same. 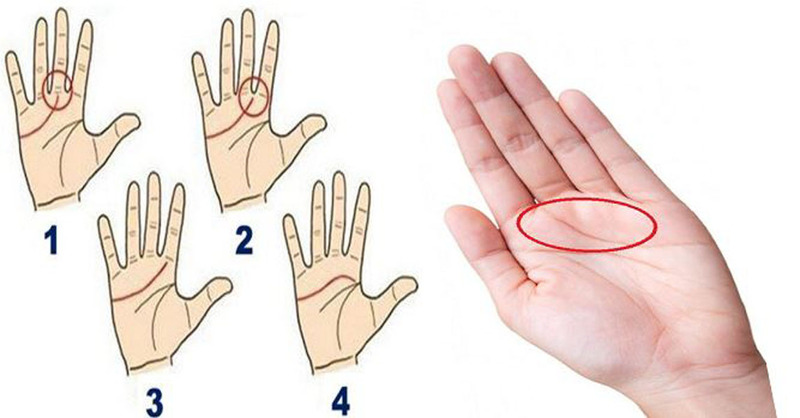 Apart from the four major lines, some people have a short arched line under their middle and ring finger. In fact, this small curved line can even make a whole circle or two shorter separate lines. It’s commonly known as the Venus’s circle or love belt.